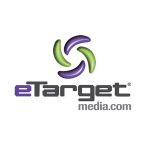 eTargetMedia, Coconut Creek, United States - Targeted, Effective Results! eTargetMedia - Targeted, Effective Results! eTargetMedia’s direct marketing capabilities include Email Lists, Postal Lists, Mobile Lists and Email Append Services. With over 20 years of experience in Direct and Interactive Marketing Services for our valued clients, we are committed to providing our clients with excellent service and cost-effective marketing solutions that deliver Targeted, Effective Results! As a Direct Marketing Association Trusted Marketer Program Member, we adhere to the best practices and industry guidelines that are set forth for responsible and ethical marketing. eTargetMedia provides its clients with the resources and experience to develop and implement highly effective advertising and marketing solutions that exceed client expectations and produce measurable results. Our strategic online and offline direct marketing capabilities include Targeted Email Lists, Postal Lists, Mobile Marketing Lists and Email Append Services. 1. Add social properties and RSS feeds to your site. Some site visitors may not be ready to buy when they visit your site. Instead, they may want to get to know you better and find out if your services are right. By adding social links to Twitter and Facebook, as well as an RSS feed on your blog, you're creating a channel of communication that may lead to a sale later on. 2. Display product reviews and customer testimonials. Site visitors may feel more affiliation to your company or trust in your services when they're able to view other customer feedback. The added assurance may tip the scales in favor of a sale. 3. Create mobile-friendly pages. Site visitors may browse your site from a desktop computer, mobile phone, or tablet. Ensure that the experience is user-friendly across any browser or device. To speak with an eTargetMedia representative, call 1.888.805.DATA (3282) or email info@eTargetMedia.com.